I started a garden this weekend. Then I saw a few more weeds and noticed that the ground wasn’t level, so I started digging around in the dirt again. I’ve been doing that for three days now. At this point I’ve dug and re-dug the same empty dirt plot so many times that if my neighbor suspected me of hiding a body and called the police, I wouldn’t even be angry. I’d shake her hand for being so vigilant about reporting suspicious behavior. This is exactly the kind of place a person would bury something unpleasant. I would also fervently hope that she isn’t a gardener, because if she is, she’d know that even with all my digging, I can’t bury the truth: I’m making this up as I go. I have no idea how to garden. My experience has already been fraught with trouble and I don’t see that changing any time soon. 1. 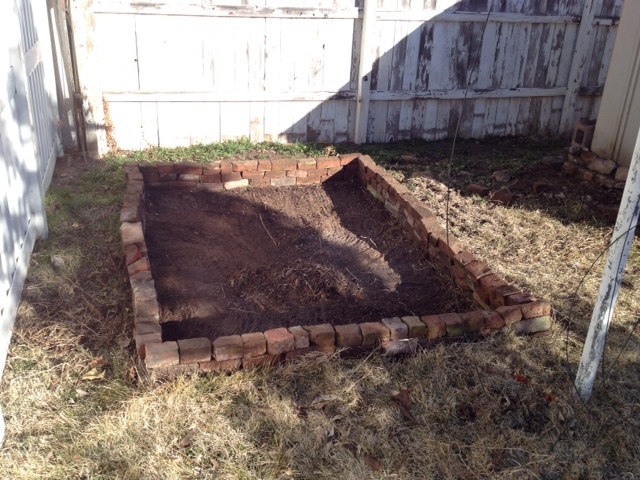 Total body soreness, brought on by lifting cinderblocks, bricks and large piles of dirt. Also possibly by tetanus. There are a lot of rusty nails out there. 2. Freckling. I shouldn’t be surprised. Last month, I managed to get a sunburn while I was indoors. 3. Comparisons to my late grandmother, who liked gardening, cats and books and did not like other people or leaving the house. Frankly I don’t see the resemblance. 4. Putting a hole in my neighbor’s nice fence. Flinging a piece of sheet metal at my dad and ensuring it put a big crack in my new neighbor’s fence was the Murder Shed’s last revenge. “Hahaha,” we all laughed, because we were young and naive then. “Hahaha! The bodies!” And that’s when Dad found the cat. That was the day we all learned that when you’re a cat who dies under the floor of a desert shed, you don’t get sticky and melty. You dry out like a sponge abandoned in the Atacama Desert and you creep the hell out of the people who find you. 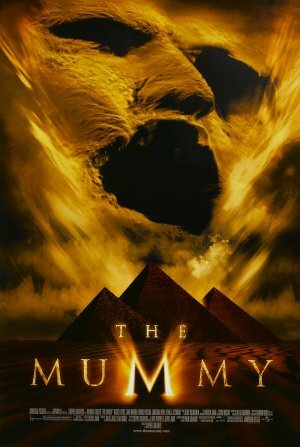 This is a poster for an excellent Brendan Fraser movie, not a picture of Mummy Cat. The two mummies look pretty similar, though. 1. Crazy expensive Home Depot wish lists. When you think about it, buying one of every kind of seed is a steal. I bought 50+ bell peppers for $1.75. All I have to do is add water and baby them and protect them from birds, mammals, bugs and disease. Every day. For the next three months. Bargain! 2. Birds, mammals, bugs and disease. I’m ill-equipped. Is there a plant version of Web MD? 3. A surplus of vegetables. I thought it was a good idea to plant three rows of jalepeños in my seedling kit. Some of them will inevitably die when I move them outside, victims of my ignorance, but a mess of peppers will remain. I guess that will be my shtick. I’ll be the Lady Who Puts Jalepeños On Everything. Or the Lady Who Gives All Her Friends Congratulatory Beans And Onions. 4. The remaining shed’s floor is rotting. It’s only a matter of time before I’m knee-deep in Mummy Cat II. 5. Scorpions. Halfway through overturning a rock, I remembered that scorpions exist. I’ve never met a scorpion. Maybe they’re really nice and just look like tiny armored killing machines. I never want to find out. The problems keep piling up, but for every one of them I find at least three things to really love about gardening. 1. Play in the dirt! It gets on my face and in my socks and coats my teeth. I love it. 2. Demolish stuff! It turns out a large part of garden-building involves tearing things apart to make different things. 3. Learn about food! The other day I asked three different people how potatoes are grown. No one knew. Potatoes are my favorite food. In 24 years, it never occurred to me to find out their origin story. 4. Dedicate a patch to the memory of Mummy Cat! You turned to leather in the dry desert weather. / Mummy Cat, Mummy Cat! I hope there’s water where you’re at. Jordan’s making me a plaque. 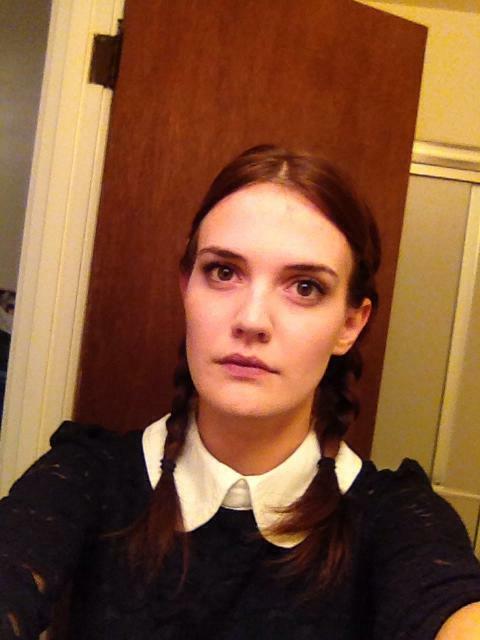 My dad keeps calling me Wednesday Addams. Once again, I fail to see the resemblance. 6. Talk to other gardeners, who, it turns out, might be my kind of people! 7. Scare Jordan with stories about spider webs! I don’t know what I’m doing, but I’m excited for the part where I find out. I’m not even sure I’ll be any good at gardening, but these first days have been the best and all I’m doing is moving dirt from places with too much of it to places that don’t have enough. And poking worms. I’ve done a lot of worm poking. The first lettuce seed I planted in my seedling kit sprouted today. I keep going to check on it. I lean in close to the plastic dome that covers the tray of dirt and I stare at that little green shoot. We are still eating the (frozen) fruit of our efforts from last year’s crop of beans, apples and rhubarb (all tomatoes and potatoes now gone). It’ll be worth it! Way to go. My SIL grows her own veggies, and I’m living vicariously. Which means I get 50% of everything without doing a thing. I would have but I’d have to anticipate the problem of everything dying. Talking to plants has been known to make them grow better, especially if you use soothing tones. Thank you for the heads up! That was not on purpose, and I’m hoping deleting it makes it go away. I don’t like to force Mummy Cat photos on anyone. Reblogged this on justinospeak's Blog. When I did a container garden last year and totally asked the ‘Where do potatoes come from?” question. Glad I’m not the only one! Hilarious post as always, good luck with gardening!! If I remember correctly (and I can’t guarantee that), to grow potatoes you can just bury chunks of raw potato and they will sprout. My parents used to have a huge vegetable garden that I mostly avoided, thus the memory issue. Good luck with the growing stuff! Hilarious! This is the same technique I used on my first garden. I ended up with a lot of cucumbers and squash that year. Yeah garden! So exciting. And yes, you can grow potatoes directly from planting potatoes that have sprouted. I’ve done it in old wooden fruit crates stacked up rather that tires (don’t like the idea of all that exhaust and junk getting into the dirt. Even cleaned up it weirds me out). It saves a lot of space plus you get a higher yield. I like the smell of the fresh dirt when I work in the yard. I’ve never planted a garden, yet (my dad always had one). Happy growing! #1 (and most important) Please tell me you kept the mummy cat! If you don’t want it I would be happy to take it off your hands. I live in Florida, nothing mummifies here. Though it is a good state for serial killing what with the fast decomposition of bodies. I mean, so I hear. #2 There is an excellent website called Dave’s Garden. They have planting info, bugs and disease info, seed swaps. It’s an amazing place. I am glad I’m not the only one who talks to plants. Or finds mummified cats (and mice, rats, snakes, etc…). I also remind everything I raise, from garden vegetables and some flowers to livestock that one day – they’re getting in my belly. Something about touching dirt stirs the soul, engrimes the fingernails, grittifies the eyelids, besmudges the left side of the nose, and just feels oh so good. Hello, Stephanie! Liked this one. As for growing potatoes, or ANY other kind of thing, here is how We do it: Dig hole, place seed, cover it up, water it, AND PLUCK IT OUT THE NEXT DAY TO SEE IF IT HAS GROWN. Keep doing this till We see results. …OLD joke. Haha. …If You are Really into Gardening, More Power to You! Love and Regards. I haven’t been blog hopping in a while, and I’m glad to be getting out and about. This was really funny! Especially the part about your neighbor calling the police. I forget what suburban living is like. I have been gardening most of my life, and have even had “victory garden”-like results, but I still know very little about gardening. It’s a lot to learn, just like any form of life. You got a seed to sprout! Well done, you! You must appreciate what an accomplishment that is! By the way, cats (and dogs) do a lot to repel animal pests. oh this is adorable! ‘the Botany of Desire’ by Michael Pollan (true! he was born to write about plants!) is a great book with potato-ish history. you are on your way to being Crazy gardening cat lady! congratulations!